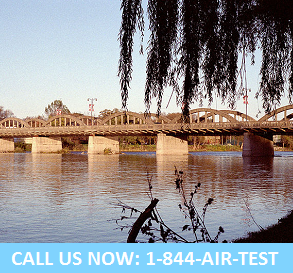 With over 2 decades of experience and knowledge, the team of professionals at Air Quality Solutions has become an industry leader for both residential and commercial air quality testing in the Dunnville, Selkirk, Hagersville, Caledonia and entire Haldimand County. In fact, we have earned our reputation as your Haldimand air quality testing experts! Our highly skilled team of accredited professionals can help test and improve the air that you breathe. We will work with you to develop a customized indoor air quality testing and assessment plan that is specific to your individual needs and budget. We CARE for the air your breathe and are dedicated to uncovering hidden airborne contaminants that may be impacting your health, productivity and not allowing you to perform at your best! A professional indoor air quality testing expert is standing by to answer your questions and assist with all your environmental testing needs! Your home, family, business, employess and bottom line will thank you!